In the heart of Walla Walla wine country is one of the most iconic vineyard and tasting rooms of the region, Basel Cellars. This sprawling estate boasts a grand tasting room, 97 acres of vineyard views, a majestic event center and a 14,000 sq ft mansion with 8 bedrooms and 4 bathrooms available for your overnight stays. Whether you’re tasting for the first time or have an affinity for a very special Bordeaux style blend, you’ll find something noteworthy at Basel Cellars. 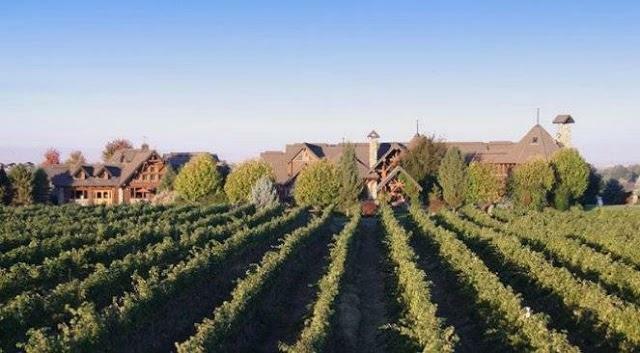 They specialize in wines with rich fruit flavors and the distinct characteristics of Columbia Valley and Walla Walla soil: Full-bodied red wines with smooth tannins and supple texture. These beautiful wines, coupled with a wonderful tasting experience, make Basel Cellars a favorite destination for both novice and experienced wine enthusiasts. Winemaker Dirk Brink honed his craft in his native South Africa and then as an assistant at Chateau Ste Michelle and Bookwalter before becoming head winemaker at Coeur d’Alene Cellars and now Basel Cellars. This is the first time Basel Cellars wines have been available for tasting in Spokane. Enjoy the tasting, buy your favorite bottle and put a visit to this massive estate on your list of things to do. On the tasting bar this month for only $10 per person ($5 credit for a bottle purchase). Available April 4-30.